A blog by Grant Montgomery, co-founder of Family Care Foundation, a 501c3 that provides emergency services and sustained development for communities, families and children on 5 continents. Articles and commentary on Philanthropy, Global Aid and Development. A major US-Mexico border crossing in San Diego, one of the world’s busiest international crossings, was closed for hours on Sunday after a group of migrants on the Mexican side rushed the border area, leading US Border Patrol agents to fire tear gas at the group. About 500 migrants on the Mexican side of the border overwhelmed police blockades near the San Ysidro Port of Entry Sunday afternoon. As the migrants tried to cross the border, authorities on the US side used tear gas to disperse them. 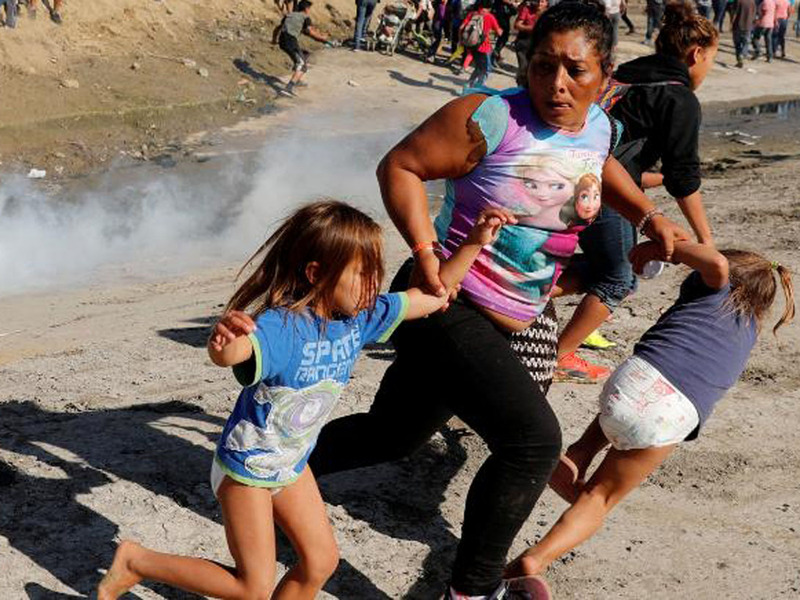 Video of the scene showed a cloud of tear gas that sent people running and screaming, including families with young children. US Customs and Border Protection said the migrants threw projectiles that struck several agents. “Border Patrol agents deployed tear gas to dispel the group because of the risk to agents’ safety,” the agency said on Twitter. The incident marked an escalation of tensions that have been mounting since groups of Central American migrants began arriving in Tijuana a few weeks ago on their journey to attempt to gain entry to the United States. The migrants’ presence has drawn demonstrators — for and against them — and threats from President Donald Trump to close the US-Mexico border. Meanwhile, Tijuana’s mayor has called on the Mexican government and the international community for help. The melee closed San Ysidro Port of Entry to vehicle and pedestrian traffic, with all northbound and southbound traffic halted for several hours. Every day more than 100,000 people enter the U.S. there. This entry was posted in Humanitarian Aid, International Cooperation, Uncategorized by Grant Montgomery. Copyright © 2019 Family Care. All rights reserved.